Just because your prospect doesn’t join your MLM Team doesn’t make them a loser. This is another important lesson I learned from Holton Buggs. Many distributors are taught that when their prospect doesn’t join their MLM Business, they are a loser, a non-dreamer, or a sub-par person. Can you believe that? I’ve actually been affiliated with companies in the past that teach this and I am extremely embarrassed by it. During my time in one company I was taught that people who didn’t join the business were losers who were going no where in life. And people who left the business for whatever reason were quitters. Sounds crazy, huh? One of the biggest mistakes you can make in this business is to think that (1) everyone will join or (2) that people are losers because they don’t join. The truth of the matter is that we all have a different path in life to take. We all have a different journey. We all have different ambitions and goals. We all have different personalities, talents and abilities. Some people are cut out to be entrepreneurs and others aren’t. Some people only want a job, and there is nothing wrong with that. Some people don’t think your business opportunity is a good business opportunity. Some people don’t have the belief in themselves that they could ever own a successful business of their own. 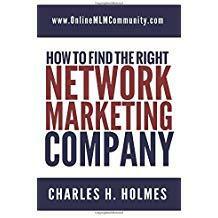 Some people have tried network marketing in the past, and failed, and never want to do it again. Some people are more interested in another type of business opportunity. I could go on and on here, but here is the bottom line: everyone has the right to their own opinion and their own choices. And just because someone else doesn’t see things the way you do doesn’t mean they are dumb, ignorant, or a non-dreamer. And you don’t have the right (neither do I) to treat them inferior or bad because they don’t want to join your opportunity. After all, how would you feel if someone treated you like crap because you weren’t interested in a specific business opportunity? If you were like me, you would probably crack them upside the head for talking badly about you. After all, if someone called me a loser after I told them NO to their business opportunity, I would take them out back and scrap it out with them. The moral of the story is that you need to be a professional. You need to treat EVERYONE with respect, even if they think differently than you. Be nice to your prospects, whether they join your business or not. And remember this. No today does not mean no forever. If you treat your prospects well, some of the ones that tell you NO today will be on your team five years from now if you treat them nice and keep the door open! I hope this helps. What are your thoughts? Leave a comment below to let me know what you think. I look forward to hearing from you. I am a firm believer in “what comes around, goes around.” You can call it Karma or whatever, but when we treat or even think badly of other people, it will come around to others doing the same with us. If we treat others with respect and care, again, the same will come back. We all are called to different paths in life. For me, there are many things I would like to try, but I have learned to not overload myself. If I have too many things going at once, I succeed at none. Very true, Greg. It’s best to find something that matches our passions and go full throttle with that. Trying to do too many things at once is a bad idea, too. It also saddens me when I hear of stories like this, because that is what gives some Mlms a bad name. I have heard people claim that some MLMs act just like religious cults. It is actions and statements like this that give that impression. If people want MLMs to have a better reputation, they need to stop these idiotic thought processes. It is hurting all, not helping. Hopefully those who say such things read this and change their ways. One bad apple can ruin it for all of us!